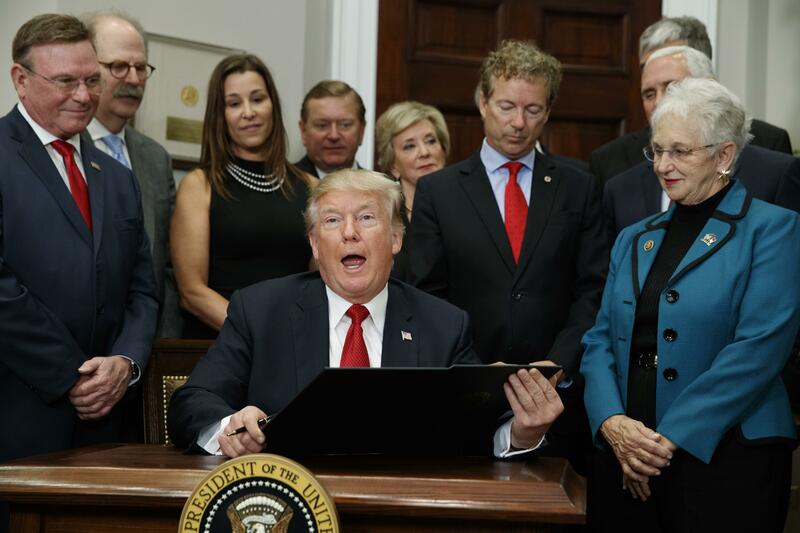 UPDATED: Fri., Dec. 22, 2017, 12:52 p.m.
WASHINGTON – Americans in states that Donald Trump carried in his march to the White House account for more than 4 in 5 of those signed up for coverage under the health care law the president still wants to take down. An Associated Press analysis of new figures from the government found that 7.3 million of the 8.8 million consumers signed up so far for next year come from states Trump won in the 2016 presidential election. The four states with the highest number of sign-ups – Florida, Texas, North Carolina and Georgia, accounting for nearly 3.9 million customers – were all Trump states. AP’s analysis found that 11 states beat 2017’s enrollment figures. Of them, eight – Iowa, Kansas, Kentucky, Missouri, Nebraska, North Dakota, South Dakota and Wyoming – went for Trump, who posted double-digit victories in all but Iowa. The year 2019 – the effective date for repeal of the ACA’s requirement that most people have coverage – is looking like a time of reckoning for the law’s insurance markets, which offer subsidized private plans to people who don’t have job-based coverage. “With the end of the attempts to bring it down and to repeal it, perhaps there will be opportunities in the near future to try to actually build up and improve it, because it could use some work,” he added. Published: Dec. 22, 2017, 12:33 p.m. Updated: Dec. 22, 2017, 12:52 p.m.